When it comes to movies, there are certain categories that people want to see. A lot of people love to go to the theaters to escape, and they want to be very entertained. 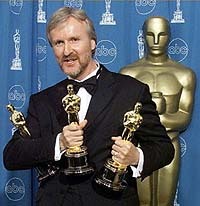 One of the most famous directors in the world is James Cameron, and he has a reputation for making some of the best movies in the world. However, back in the 1990′s, when Cameron had the idea for an ice-inspired movie, everyone in Hollywood thought he was wanting too much in terms of money. After all, the whole idea of studies funding films is to make a profit, and the buzz in Hollywood made Cameron’s movie seem like a pipe dream. Though despite all the bad press, James Cameron used an outline to persuade two studios to fund his ice project movie, and it turned into the biggest movie ever. 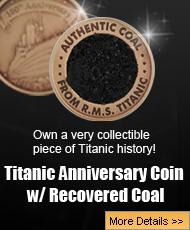 The name of James Cameron’s ice project was Titanic, and coming up is on its 20th anniversary. Here are more fun behind-the-scene facts about Titanic. Typically, when a movie is filming, and the studio wants to see some of the daily shots. However, there have been several instances when movie scenes have been stolen while in transport, so to protect movies, they are often given another title. During the very long filming of Titanic, which was over six months long, the name it was called was Planet Ice, which was very close to what the movie was mostly about. When James Cameron wrote Titanic, he used a lot of the names of the most famous passengers that were on board the ship like Margaret Brown, JJ Astor, and Benjamin Guggenheim. However, the names of the two stars, Jack and Rose, were completely from his own imagination. However, when Titanic came out, and turned into a giant hit, fans were delighted to discover that one of the graves in Halifax, Nova Scotia, contains a grave marked “J Dawson.” When asked, Cameron claims that he had no idea that one of the crew members was a “J Dawson,” but he stood by his movie and character. It is important to note that the “J Dawson” grave is the most visited one in the Halifax cemetery, and it is often gifted with things such as fresh flowers, candy, and teddy bears. Back in 1912, the dollar was not the same as it is today. In 1912, things like bread was a nickel a loaf, and milk was a dime for a carton. When it came to luxury, the prices were just as extravagant as they are today. On the RMS Titanic, a First Class suite cost around $4350, which was a huge about in 1912. However, $4350 in 1912 dollars equals to over $75 thousand dollars in today’s money, which is a staggering amount for what was basically an overgrown hotel room with an ocean view. Before Kate Winslet was given the role of Rose, there were some very famous women that were also being considered. One of the studios that funded James Cameron wanted famous actress Gwyneth Paltrow, but some of the other actresses up for the part were Madonna, Jodie Foster, Nicole Kidman, and Sharon Stone. Luckily, James Cameron cast Kate Winslet, whom he felt was perfect for the part, and the world is glad that she did despite the fact there were many talented women up for the part. 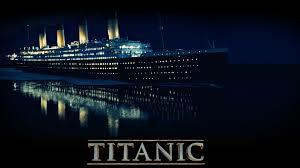 The movie Titanic was filmed in Mexico in a giant water tank. When it came time to film the ship sinking, the amount of water that had to be used meant that the scenes could only be filmed once. With thousands of gallons of water pouring into the interior of the Titanic set, the furniture, flooring, and even the staircase, could not survive with the water rushing in and literally pulling the items off the walls and floor. Luckily, everything went right for James Cameron, and he only needed the one take for filming the sinking the world’s biggest ship. Sometimes when people have dreams, those dreams are often out of reach and never come true. However, when for a man like James Cameron, there was no such thing as his dream not coming true. Back in 1997, James Cameron began working on his dream film, a movie about the sinking of the RMS Titanic, and it ended up being the biggest movie ever for an unheard of 12 years. 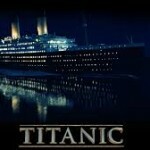 In December of 2017, Titanic will turn 20 years old, and despite the hardships with making the film, it is still a beloved movie that is just as popular today as it was when it was first released in 1997.